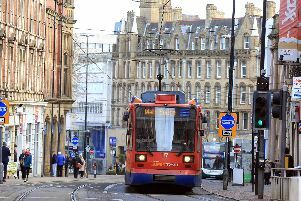 Sheffield has topped a list of the UK cities to live in as a university graduate. The study calculated the average graduate salary, the average rental cost and house price, monthly utilities as well as disposable income and - perhaps most importantly - the cost of a pint for different locations around the country. Sheffield had the cheapest rental and living costs, meaning that graduates have plenty of spare cash at the end of each month. A two-bedroom house costs £667 per month on average - a saving of £2,007 on a similar-sized rental property in London. And if graduates are looking to make a more permanent move, the average price to purchase a two-bedroom property is just £119,806. The cost of a pint in the city is £2.70, compared with £3.92 in London. In second place in the league table is Glasgow, with Leeds close behind in third. London is the worst place for graduates to live, followed by Brighton, because the city’s rental prices are among the highest in the country. He continued: “I think a lot of people assume that London is the best place to be a graduate, and droves of students flock to the capital each year. “However, it may be the time to look further afield for real value.